K02K02 1 year, 7 months ago. Here comes the LineageOS 14.1 for Redmi 3s/Prime via an unofficial build. In addition to this we have the Lineage OS 13 for Redmi 3s/Prime. If you want the OFFICIAL update or some more Lineage ROMs then stay tuned to the LineageOS 14.1 ROM collection page. This Redmi 3s/Prime Lineage OS 14.1 (land) is brought to you by HridayHS and one more build is brought to you by karthick111. If you like this ROM by HridayHS, then you can consider a donation to HridayHS, to keep him motivated. THIS IS AN INITIAL BUILD AND MAY HAVE MANY BUGS. HAVE A BACKUP OF THE CURRENT ROM BEFORE FLASHING THIS ROM AND TRY AT YOUR OWN RISK. Installing a custom ROM on a Redmi 3s/Prime (land) requires the bootloader to be unlocked on the Redmi 3s/Prime (land) phone, which may VOID your warranty and may delete all your data. Before proceeding further you may consider backup all data on the phone. You are the only person doing changes to your phone and I cannot be held responsible for the mistakes done by YOU. Download and Copy the GApps and LineageOS 14.1 for Redmi 3s/Prime ROM ZIP to your phone. First flash the Redmi 3s/Prime LineageOS 14.1 ROM ZIP from device. Then flash the GApps zip from your device memory. Reboot and Enjoy the Nougat 7.1 LineageOS 14.1 ROM for Redmi 3s/Prime (land). 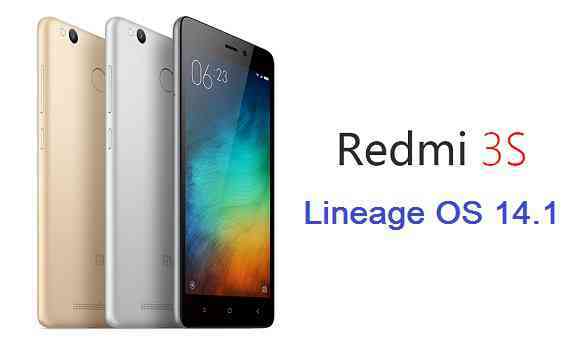 Copy the latest Lineage OS 14.1 for Redmi 3s/Prime ROM ZIP file to your phone. Stay tuned or Subscribe to the Redmi 3s/Prime (land) forum For other Android Nougat ROMs, LineageOS 14.1 ROMs, other ROMs and all other device specific topics. I have rooted Xiaomi Redmi 3S Prime rooting guide and now the time is come to flash this rom on my mobile right now. After using it for less than a week, the sensors on the Redmi 3s don’t work anymore, sometimes the camera doesn’t turn on and the screen goes black, and the touch screen can sometimes be slow to react. Same problem Brother.And VoLTE is also not working. Thank for release of rom Lineage 14.1 for redmi 3s land, i used it and these are some bug as above. I have updated a new ROM link by karthick111. Can anyone test this one?? Just flash LOS 14.1 on my Redmi 3S Prime and it´s working nice. However, there is some bugs that have not been fixed like the CAMERA CRASH (black screen or “not responding”). Plus, I was not able to swap between screen orientation modes (landscape and portrait). I´ve already checked if it was the “auto-rotate option” what was causing the problem, but it wasn´t. In fact, I was running Evie Launcher instead of default/Trebuchet and I thought that it could be a permission problem, but again, it wasn´t. I hope it get fixed next update.